Our latest episode has arrived. Rhonda J Smith is a printmaker and the Chair of the Department of Contemporary Art and Theater at Shepherd University. She has an exuberance for both teaching and art. 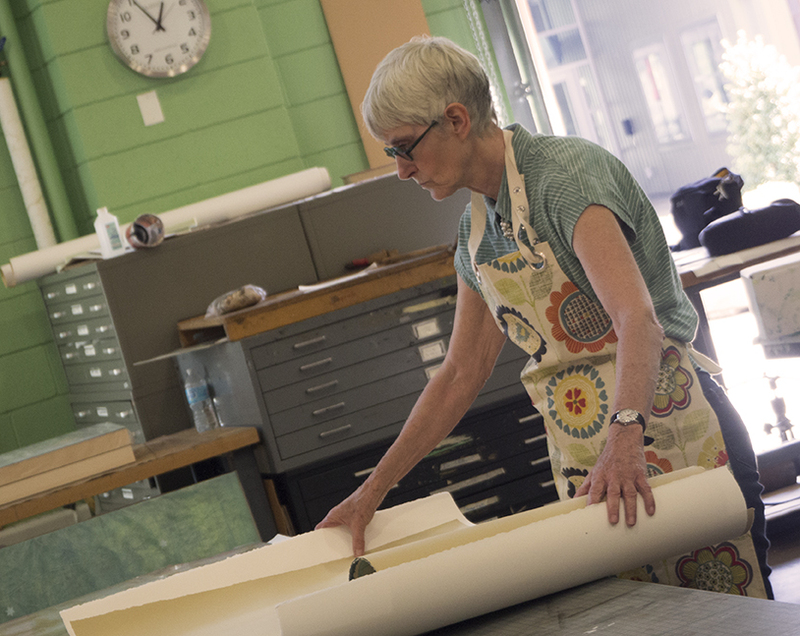 Her travels, both in the US and abroad, have influenced her printmaking. This episode is titled “Journeys and Talisman” because her travel and her exposure to African art broadened her perception and creativity. Find out more about Rhonda at http://www.shepherd.edu/artweb/. ArtVoiceWV is production of 78 Degrees West Films. Major support for ArtVoiceWV is provided by Dave Graves, Sally & Jerry Berman, and Jan & Harold Bright. Additional support is provided by Polly & Terre Jones, Karen & Rick Schneider, Clara Ladd Ceil & Rand Jones, Pat & Bob Marrgraf, Jane Frenke, Jan Weinberg, Arlene & Tony Verge, FAST Foundation, Star Theater, Susan & Gat Caperton, Ian Weinschel, Beth & Tim Rowland, Kate Lehman, and Eryn & Brian Lampe. In the next episode of ArtVoiceWV, we profile printmaker Rhonda Smith. She is an artist, teacher and chair of the Department of Contemporary Art & Theater at Shepherd University.